Don’t miss out on the opportunity to apply for one of our fabulous scholarships. 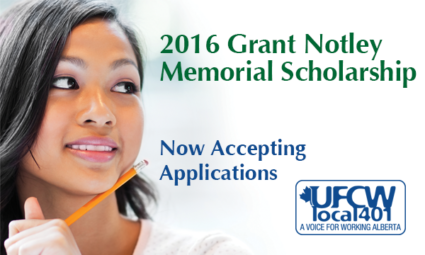 The Grant Notley Memorial Scholarship is available to UFCW 401 members and their immediate family members. The deadline for application is January 31st so don’t delay. Check out the scholarship and application information here!